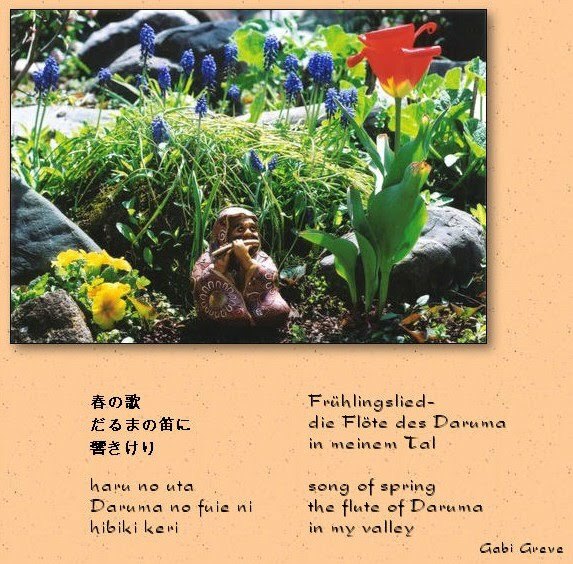 This is a little Daruma of Kutani pottery, playing the flute himself. 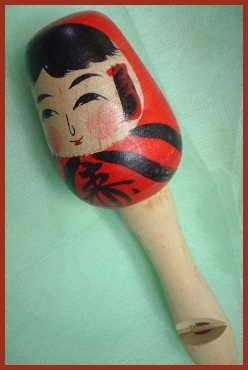 A small flute, with a kokeshi Daruma. Yes, the sakura are out in Tohoku now, even in Iwaki town.